The high efficiency embedded PC104R Penta-band PCB Antenna with AntD� Resistor slim-line design allows for convenient installation inside the customer device. 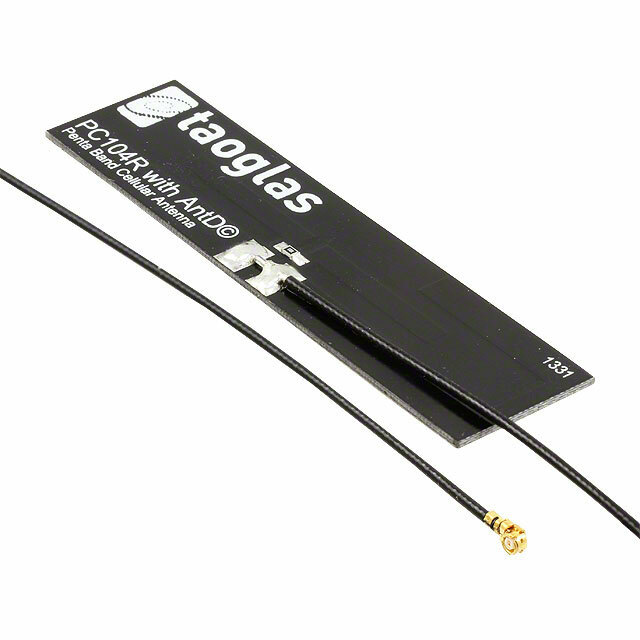 Omni-directional gain across all bands ensures constant reception and transmission. With its unique dipole design, the PC104R has exceptional industry performance characteristics considering its very low profile at 2.4mm and has a compact size 80mm*20mm. It is suitable for clients that appreciate highest performance with lower price. This antenna has 3M adhesive on the back, and is tuned and designed to be mounted on 2mm thickness plastic (not on metal). Cable lengths and connectors are fully customizable and the antenna is suitable for long cable lengths out to 2 metres. For good efficiency performance the shortest cable length should however not be less than 100mm, for requirements with shorter cable lengths the alternative product the FXP.14 can be used.